It is so lovely, I am not surprised that she was delighted with it. Beautifully knit and blocked and great colours. Very lovely indeed. And a great play on words in the title! Lyn this is delightful. 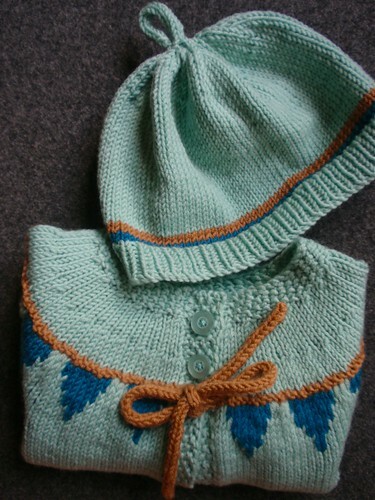 Such a gorgeous piece of knitting. That is a very cute baby sweater. Your fair isle looks great. Better too loose that too tight, as you say. As you know, I was very taken with this pattern and with your colour chouices. It will be filed away for future use! I love the "top knot" on the hat, too. i just about died of the cuteness lyn. 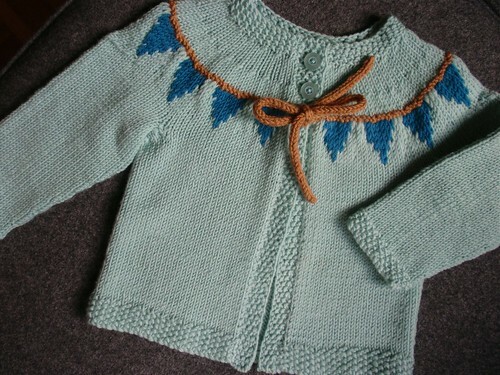 what a perfect little set, and so beautifully knit. 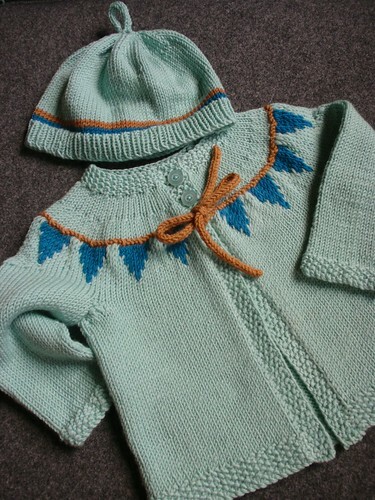 im tempted to try my hand at colourwork too this year, so i will talk to you before i do! oh it's lovely! I've seen that before but had forgotten about it. Thanks for the reminder lyn. I think it'll go on my list. You've done a lovely job! I love this so much! 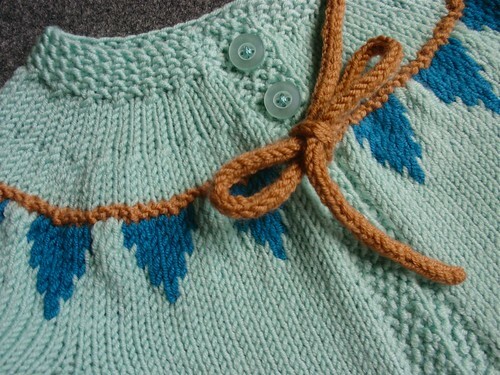 I'm a fan of bunting too, and this cardi is just too sweet. So beautifully knit too. oh my ->too cute for words! So much better than pink, this is thinking outside of the 'pink box' when it comes to girly bubwear - perfect & sweet!